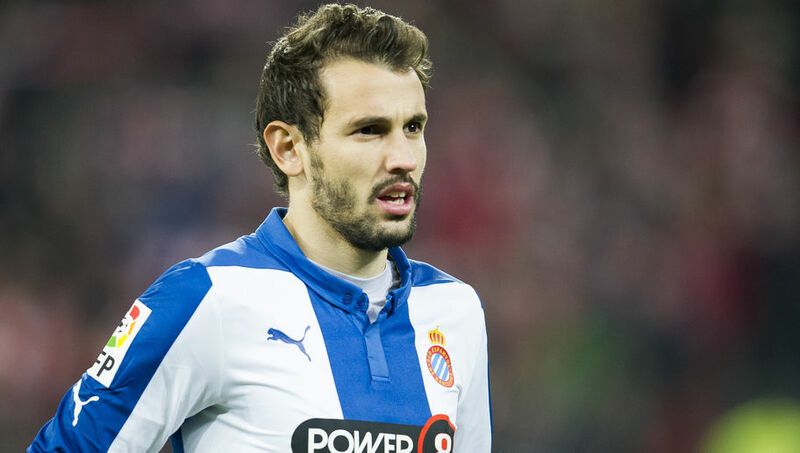 Middlesbrough have completed the signing of striker Christian Stuani from Espanyol for a fee believed to be in the region of £3.6m. Boro have been waiting for the Uruguayan's international clearance to be confirmed since he agreed a deal with the club on 20 July. Now the move has been finalised he could be ready to make his debut against Preston for the opening game of the campaign. The Teesside outfit have been looking to bolster their attack all summer as a lack of goals last term hindered their quest to gain Premier League promotion. Aitor Karanka's side have also been linked with a move for Crystal Palace's Dwight Gayle and Blackburn's Jordan Rhodes. "What has been a protracted waiting game involving confederations and clubs from other countries came to an end when the FA confirmed this morning that the 28-year old Uruguayan international striker has been given clearance to play." Stuani, who scored 16 goals in 48 appearances for La Liga outfit Espanyol last season will be given the squad number 18. Previously he has enjoyed spells with Danubio, Bella Vista, Reggina, Albacete, Levante and Racing Santander before moving to Espanyol. Stuani also has vast international experience, having appeared 22 times for his country. He made two appearances in this summer's Copa America against Jamaica and Paraguay.